Welcome back to another Fabulous Friday Challenge! We have another great challenge for you this week! We want to see you use Stripes and Polka Dots! You are going to be blown away by all the inspiration our Design Team has provided for you today! But before we show you the Design Team's projects, we would like to introduce you to our Guest Designer this week.... Heather! I am a teenage girl who loves to scrapbook and make cards! My mom and I have our own little scraproom in the basement of our house, and I spend about 80% of my time at home in it! I am in the yearbook class at school, and next year I get to be the assistant editor of the yearbook! :) Besides scrapbooking, I love to write and text my friends, take pictures, and DRIVE! I enjoy doing errands for my mom in my car. I love bright colors. My room is painted bright lime green, to let you know how much I love bright colors! Another one of my hobbies is baking cupcakes! It's so fun! Decorating them is my favorite part. 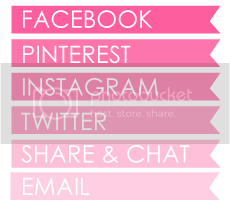 You can find more of Heather's work by visiting her blog by clicking HERE! Angela's stripes are handmade! She rolled a ballpoint pen in a versamark pad to create the stripe lines. Erin made these darling little photo holders.... come back tomorrow to see how she made them! 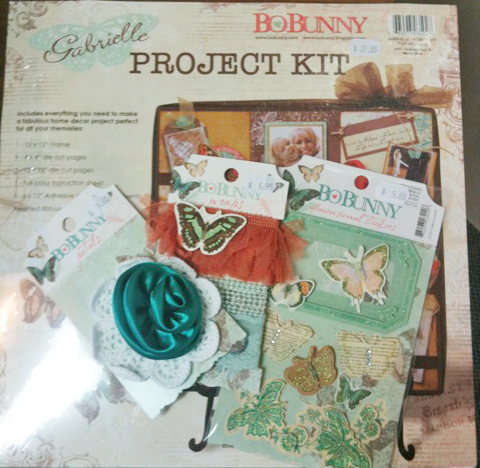 How would you like to win this BoBunny Project Kit?! It could be yours just for playing along this week! One winner will be randomly selected from all elegible entries! Good luck and we look forward to seeing all your entries! Polka dots and stripes? This is MY challenge!!!! Way cool. Great work Heather, you did an amazing job, you have a real eye for placing colors together. 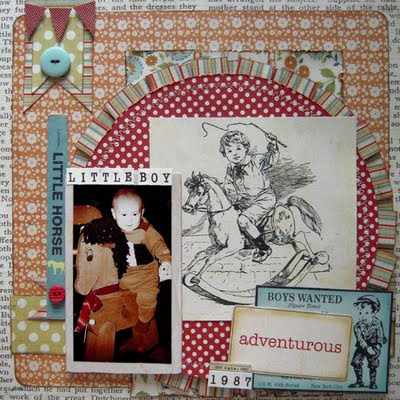 Fantastic prize Inspired Crafts...Love it!!!! Welcome Heather! Your work is so lovely! I love the cheerful colors of it. It will be great to see what everybody will come up with for this challenge. 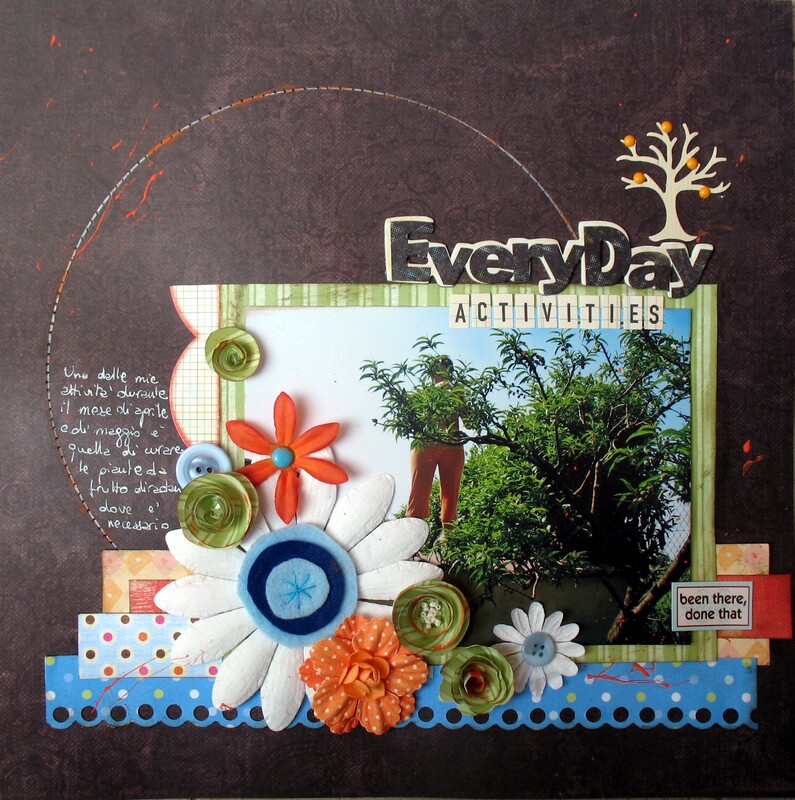 Fabulous challenge and gorgeous DT designs. Wow ladies, you inspire each day more! Heather welcome as a guest designs great job on the challenge. I can't wait for my daughter to grow up and hopefully share this beautiful hobby with her. Great challenge - believe it or not I made Christmas cards! Welcome, Heather! Your artwork is fantastic! Love Inspired Craft - fantastic store and so friendly. I have just popped up a layout with strips and pokka dots. Awesome projects ladies. Normally don't think of putting the two together but I liked how it turned out. Thanks for the challenge. LOVE an Inspired Crafts prize!Thanks for another great challenge! Loved it. Inspiring work by the team! Thanks for the challenge!